Carefree traveling: extremely lightweight trekking Zerum 38 LW Rucksack for trips where every gram counts. 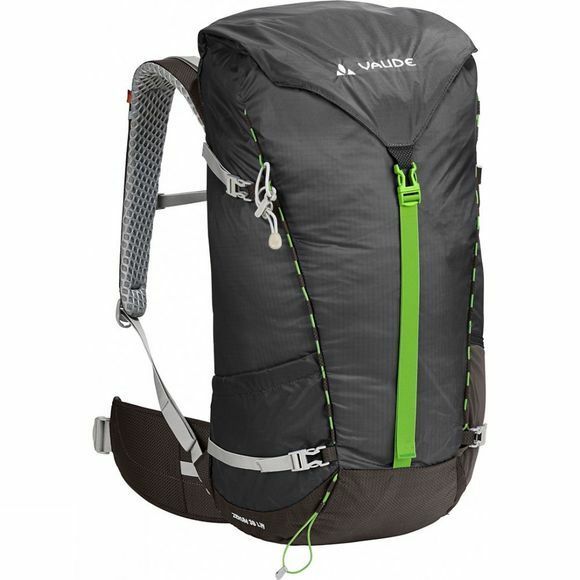 Vaude's lightest mid-volume backpack for trekkers and journeys weighs less than 900g. Zerum is best suited for shorter people to about 175cm. The height-adjustable lid offers storage space for things that need to quickly accessible and is completely detachable. Underneath lies a cover that can close and compress the main compartment when the lid is detached. The lid can also be used separately as a lumbar pack. 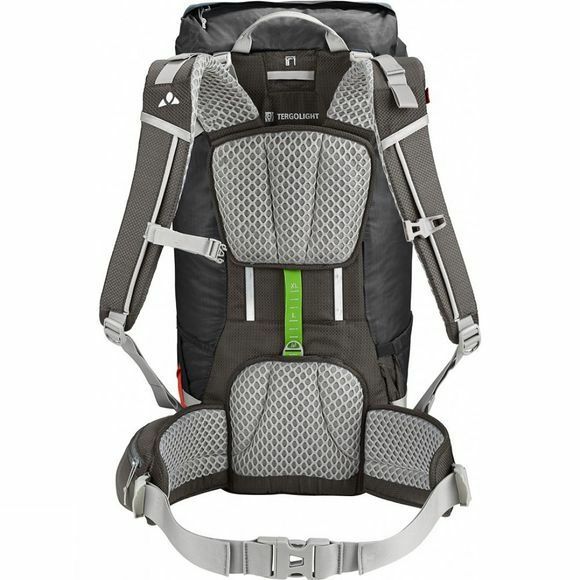 Side straps and a user-friendly packsack under the lid make it largely compressible. The front compartment with breathable mesh inserts is also particularly suitable for wet items like raincoat or rainfly because moisture can evapourate. Everything that should be easily accessible, can be stowed in the side, large-volume, stretch mesh pockets. Even a drink bottle or cap can be quickly accessed, without taking off the pack. A versatile, very strong cord serves as a functional option for attaching trekking poles and additional gear. As an essential part of the "Big Three", this tour backpack is ideal for lightweight trekking and backpacking in combination with our lightest tents and sleeping systems. To protect the environment, the textile primary materials feature resource conserving and eco-friendly manufacturing in accordance with the strict bluesign Standard.